The 16,000mAh Mi Power Bank uses Li-ion battery cells from LG or Panasonic, chipsets from Texas Instruments, and is the first power bank from Xiaomi to sport two USB charging ports, with a maximum output of 3.6A (over 5.1V). The Xiaomi 16,000mAh Mi Power Bank is really coming to Singapore! 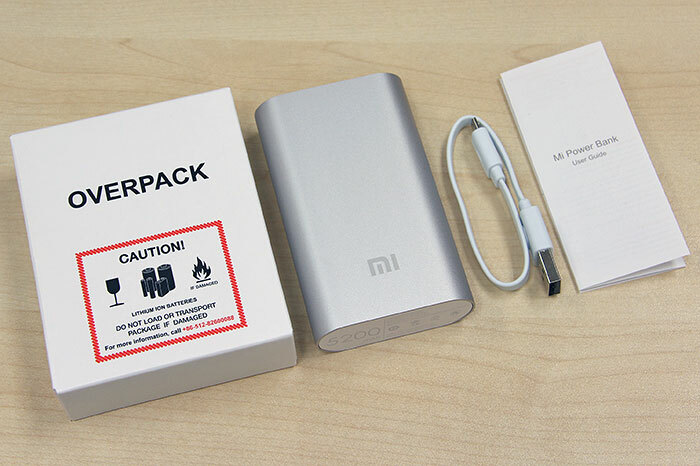 Is the $14 Xiaomi Mi Power Bank too good to be true? 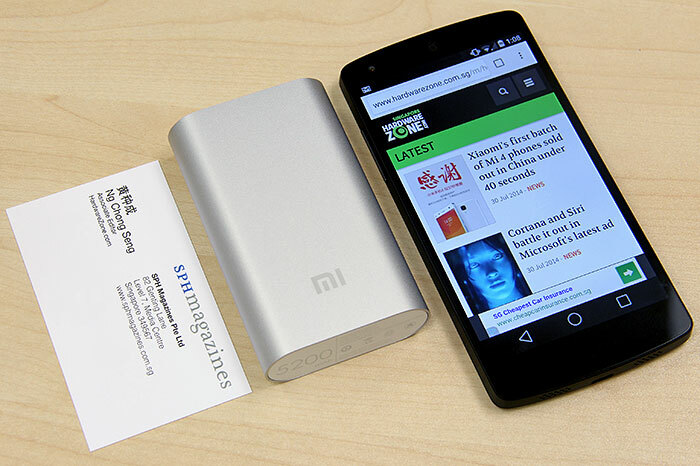 In fact, this 16,000mAh power bank is now listed on Mi Singapore's website, with a price tag of S$29.99. Expectedly, it's also listed as being out of stock. Looking at Mi Singapore's main page, it looks like the power bank will go on sale at 12pm and 8pm on Tuesday, Dec 16, the same day and timings as the Mi Band. 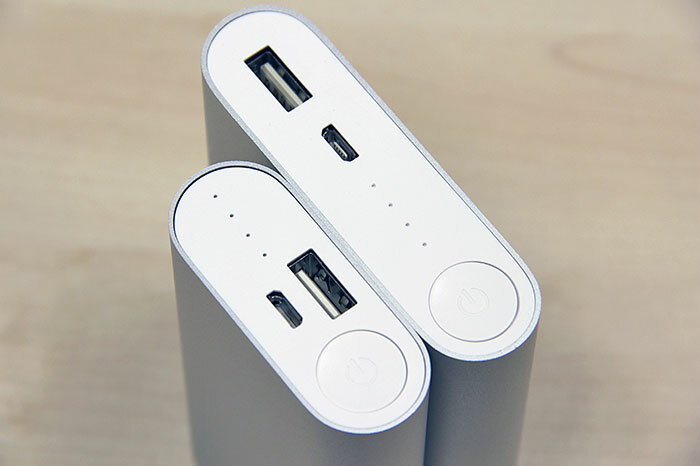 To recap, the 16,000mAh Mi Power Bank uses Li-ion battery cells from LG or Panasonic, chipsets from Texas Instruments, and is the first power bank from Xiaomi to sport two USB charging ports, with a maximum output of 3.6A (over 5.1V). At S$29.99, it's twice as expensive as its S$13.99 10,400mAh sibling, which is smaller in size (and capacity), but which has only one USB output port. So, which one would you buy come Dec 16? 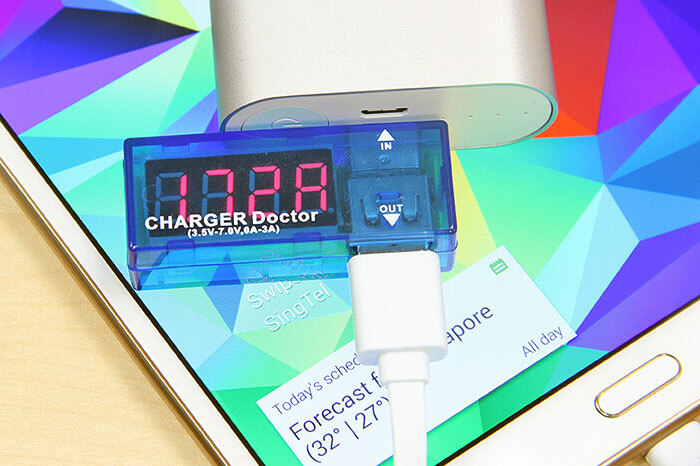 USB ports, status indicator, power check button - yup, they're all there. 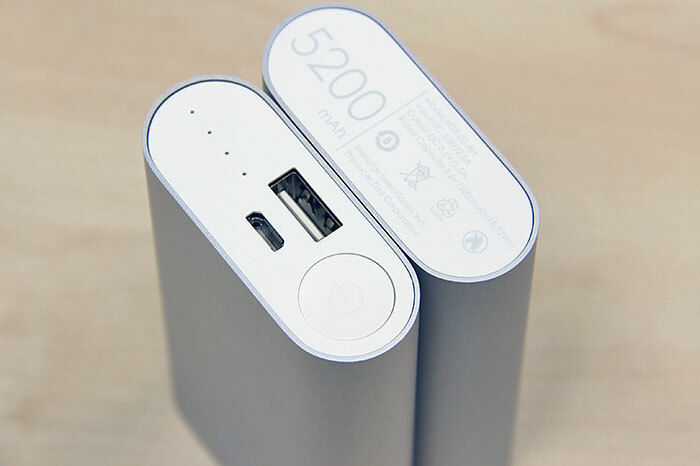 The 5,200mAh Mi Power Bank is 29% slimmer and 38% lighter than its 10,400mAh sibling. 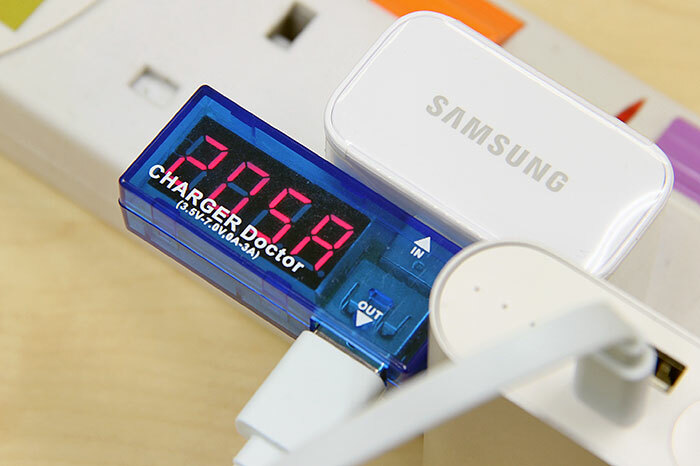 2A input allows the power bank to recharge its internal battery cells quickly. 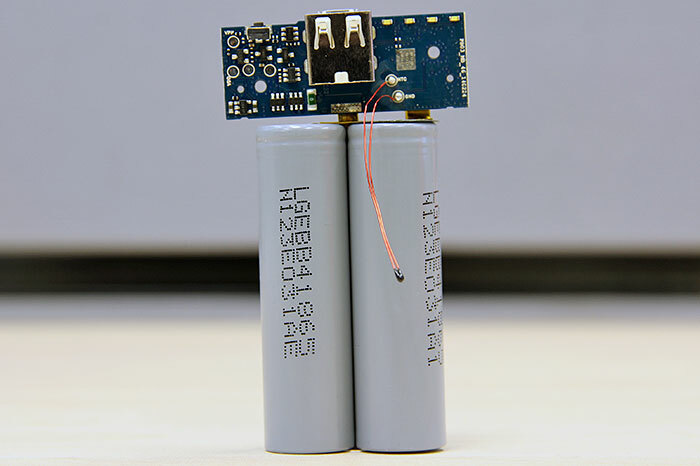 That's two LG (LGEBB41865) battery cells, each 2,600mAh, for a total of 5,200mAh. And the red wires with a black blob at the end you see there? That's the temperature sensor. 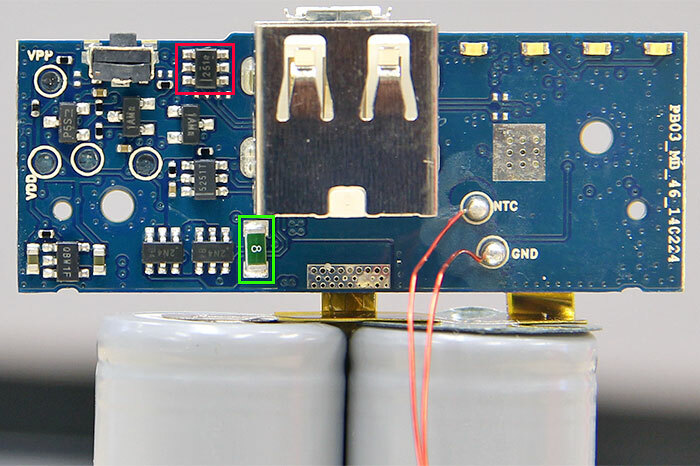 That thing in the red frame looks to be a Texas Instruments TPS2514 USB power and charging port controller. The one in the green frame is an 8A fuse. 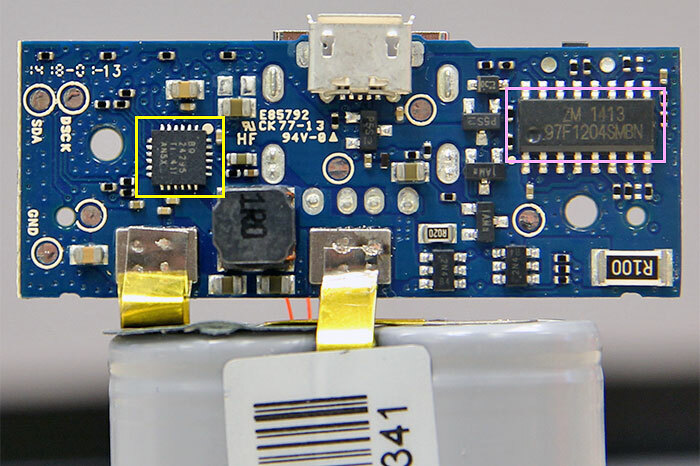 On the other side of the circuit board, we see the same 97F1204SMBN microcontroller (in pink frame) we've on the 10,400mAh version (made by ZM instead of ABOV?). These are what S$9 gets you!